The works as they would appear under a microscope. They are made up of billions of differentially stained bacterial cells from my own body. The Gram stain is the most important staining technique used in bacteriology and is almost always the first step in identifying an unknown bacterium. 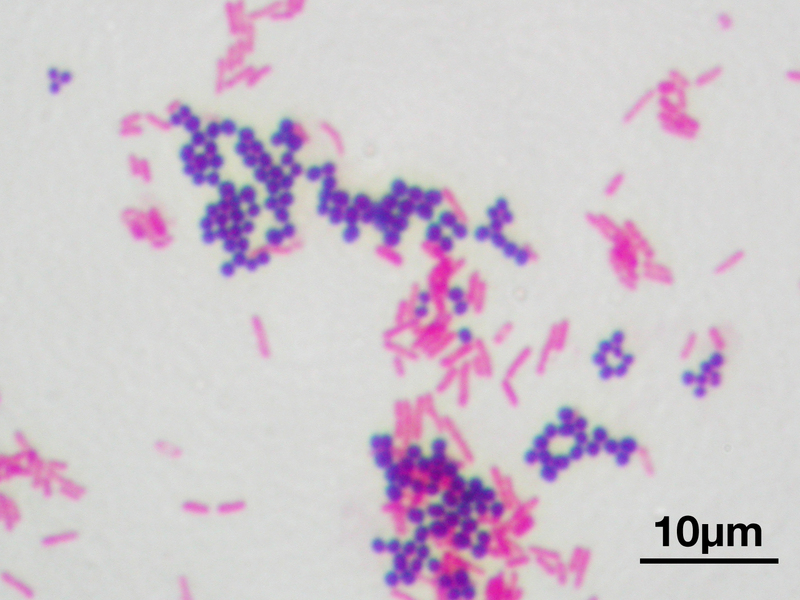 It distinguishes two key types of bacteria, those that are Gram-positive (these stain purple) and those that are Gram-negative bacteria (these stain pink). 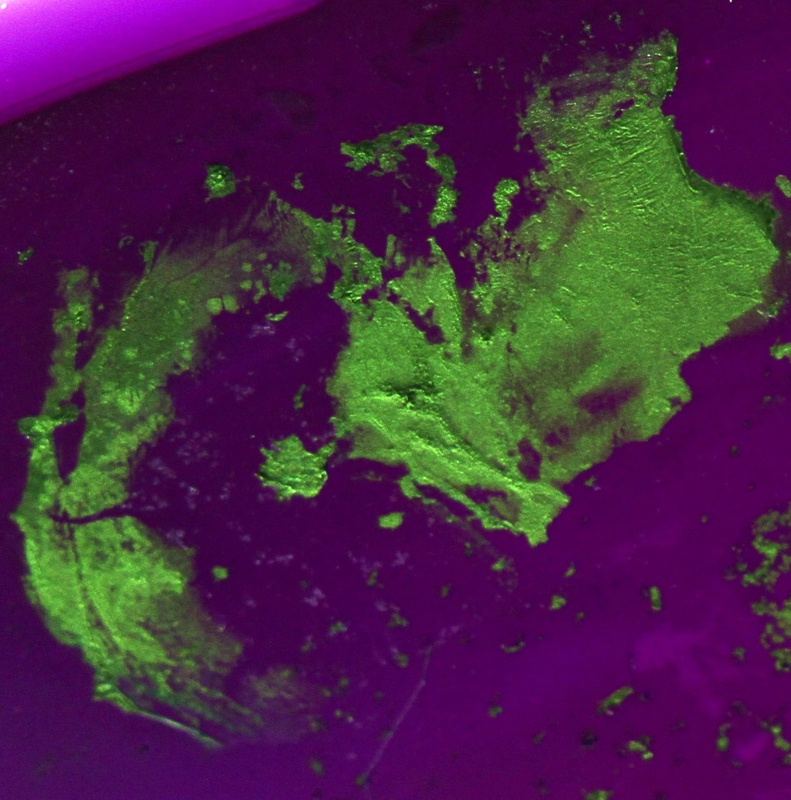 The stain is usually made on a small section of a glass slide and the bacteria then observed under one 1000-times magnification using a microscope. 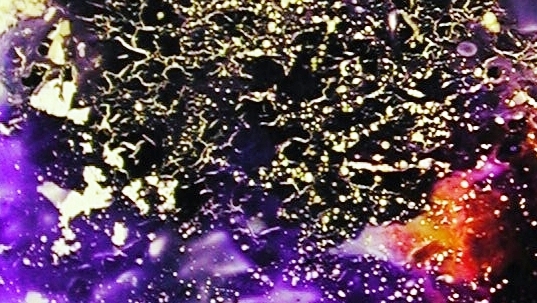 Here I decided to adapt the Gram staining technique to investigate my own bacterial microflora, that is to use it to reveal my own Dark Biology. 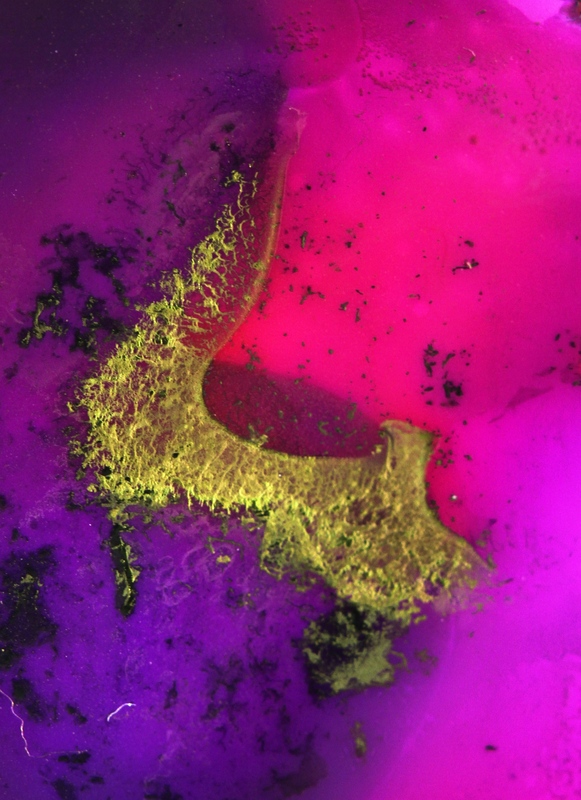 I see this process as a form of self-portraiture and thus decided to forego the use of a microscope and to instead increase the size of the area of the stained bacteria so that the art work would be the same size as a more conventional self-portrait. 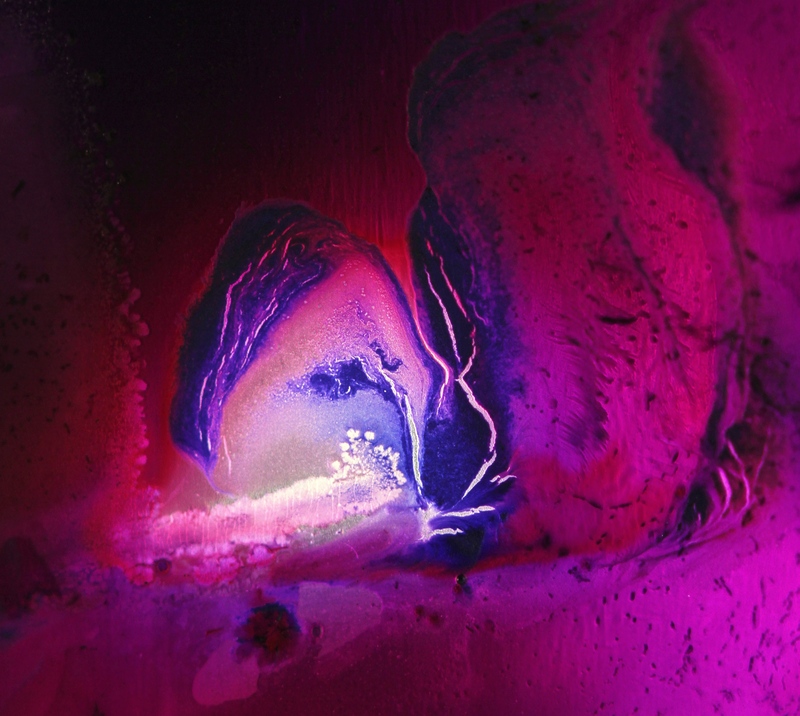 These images then are macroscopic self-portraits made from my own microscopic flora. 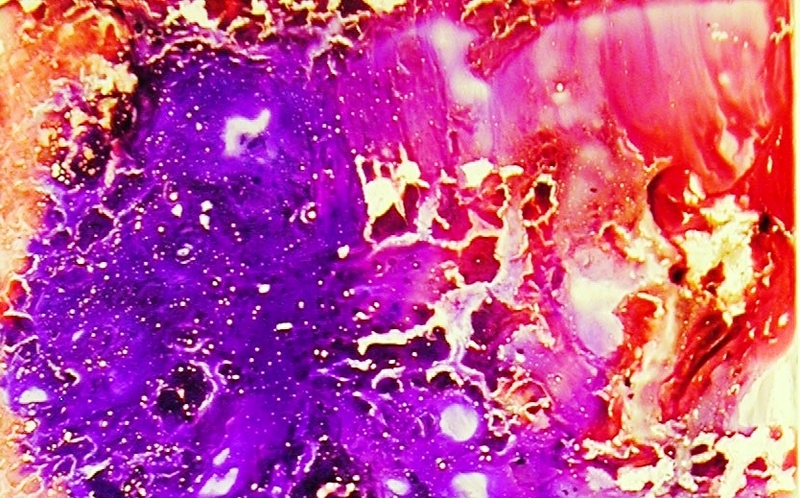 The swathes of purple, gold, and red are in fact made by the specific staining of billions of individual bacteria cells and when the works are observed under a microscope, this reality is revealed and they are found to comprise of a multitude of microscopic and coloured dots and rods (the shape of the bacterial cells). Being made of an aspect of myself, I find the self-portraits intensely personal and also think of them as a form of microscopic pointillism. This entry was posted in Uncategorized and tagged Bacteria, BioArt, microflora, self portrait by simonsublime. Bookmark the permalink. The third self portrait is particularly beautiful Simon – I see hidden kingdoms waiting to be explored.